The holidays are quickly approaching, which means family, festivities, and food! While the holidays can be fun for the whole family, they can also be a stressful time for children on the autism spectrum due to the changes in typical routines and settings. 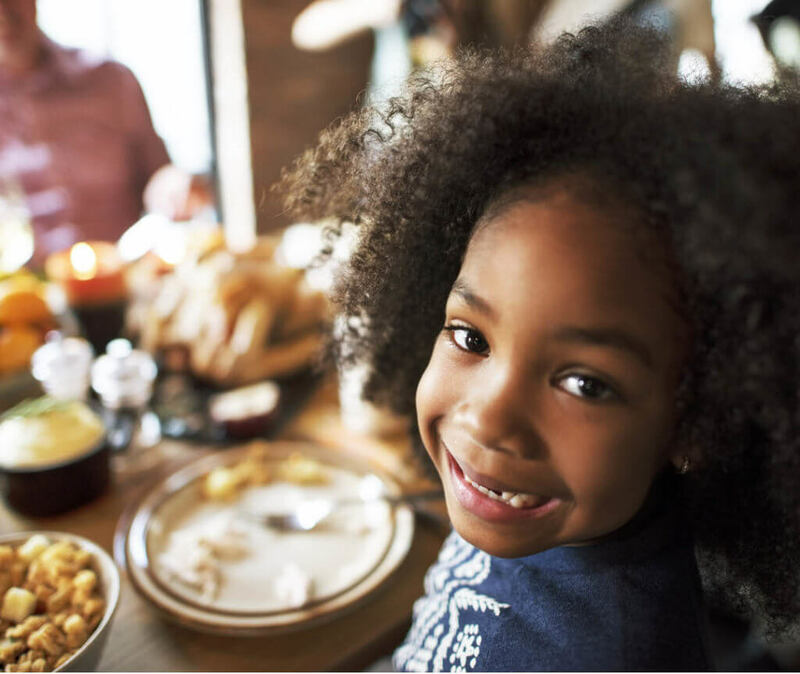 Holiday meals with extended family can present issues for a child with autism, including trying new foods, sitting among loud family members, and being in an unfamiliar location. Here are some helpful tips to make the holiday experience more enjoyable for the whole family. Prepare your child for the event. Use photos, a social story, or show them a video, modeling what will be expected of them. Will they need to sit at a communal table surrounded by family? Will they be expected to try new foods? How about preparing your child for the family members who will be present? You can practice with role play at home with real or fake food so your child is familiar with the expectation of the meal. To make it easier this time of year, you can also bring some favorite foods along that you know will be successful. Support them during the event. Bring activities and toys so your child has something to do while waiting for the meal to begin. If your child is very picky with food, bring some preferred alternatives that they will eat so they don’t become agitated while waiting and to remind your child of familiar food routines. Give them a chance to escape if they need it. If your child becomes overstimulated by loud noises or holiday lights and decorations, find a quiet place in the home for them to decompress and take a break. Your child can rejoin the family once he or she feels comfortable doing so. While holiday meals can be stressful, hopefully these tips will help keep everyone’s spirits bright!